There are a lot of different species of catfish that can grow to a huge size. These huge catfish can be found on most of the worlds continents but this article will focus on introducing you to some of the huge catfish species you can find in the US, in Europe and in Asia. And let us to that end begin in the US where you can find the smallest of these huge catfish species. There are several species of catfish in the US that can grow to large proportions and it is these species who have been the basis for the myth of the monster catfish that surrounds so many bodies of water around the US. I will in this text introduce you to 3 of these species, Flathead catfish, Blue Catfish and Channel catfish. All of these species can reach a length of over 1m/ 3 feet and weight of around 30 kg / 66 lb which I would say qualifies them to be called huge catfish. However these very large catfish are unusual and often very old which makes the basis for all the myths surrounding these monster catfish. It is entirely possible that it really is true that these catfish may have avoided being caught by fishermen during the last 50 years and that they have been quite large 40 of those years. Enough time to create a legend about a monster catfish. The Channel Catfish can be found in just about any water but are most common in streams and rivers with clear water and sandy to rocky bottoms. They can grow to be 4 ft/ 130 cm long and weigh up to 58lb / 26 kg, however huge channel catfish are only seldom seen. The Blue Catfish are primarily found in clear rapidly moving water on the Atlantic side of the US. Blue Catfish can according to confirmed information grow to be 5.5ft /1.7 meter long and can reach a weight of 100 lb / 45 kg. 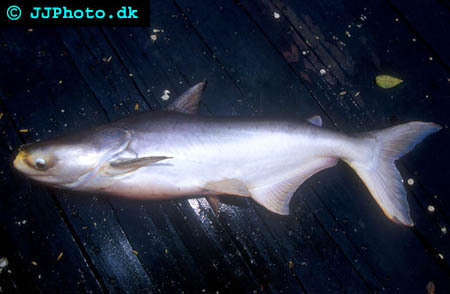 There are however reports from the 1800s of Blue catfish weighing up to 150lb/ 68kg. Whether these are false reports or just the result of the fact that huge catfish are becoming rarer are unknown. The Flathead catfish are found in large parts of the US since it has been introduced to a large number of waters due to their value as a game fish. Flathead catfish can grow to be 155 cm / 5ft long and to a weight of 56 kg / 124 lb. This makes the Flathead catfish the largest catfish in the US and the one true huge monster catfish found in the US. The earlier described species can be found in some parts of western Asia but further east in the Mekong delta (Cambodia, Laos) there is another huge catfish, and another contender to the world largest freshwater fish title although it undoubtedly doesn’t grow as long as the wells catfish. The Giant Mekong catfish is becoming increasingly rare and can be found on the cites critically endangered species list. 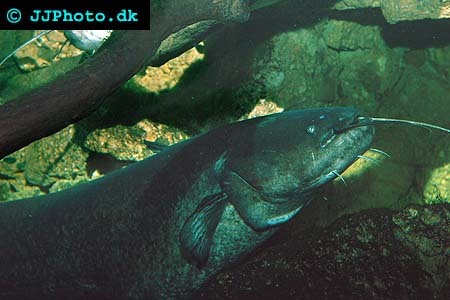 The Mekong catfish can grow to a length of 3m /10 ft and weigh up to 350kg/770 lb (making them heavier then wells catfish). The Mekong catfish are one of the fastest growing fish in the world and reaches a weight of 150-200 kg /330-440 lb in only six year making them huge monster catfish in a minimal amount of time. Spawning Bristlenose Plecostamus (Ancistrus dolichopterus) - A guide to breeding Bristlenose Plecostamus (Ancistrus dolichopterus)..